After the row over the minority tag for the renowned Alighar Muslim university, now it is the appointment of a new Vice Chancellor which is under lens. The appointment of a person of non-teaching background who was also an ex-Army officer as the Vice Chancellor of prestigious AMU has come under the scanner of the Supreme Court. “Yes we will examine it. Look it is a central university. UGC regulations must apply and there is no option as it is mandatory. Of course the Chancellor must be an academician and he should be a person who has worked for at least 10 years as a professor in a university”, a bench comprising Chief Justice T S Thakur and A M Khanwilkar said during hearing of a plea challenging the appointment of AMU's Vice Chancellor Lt Gen Zameer Uddin Shah. “If all of the central universities follows the Regulation why can't AMU? Why should there be an exception ? Why to appoint a former army officer? We are not questioning his abilities. We are on the question whether his appointment is as per the UGC Regulations”, the CJI asked senior advocate Raju Ramachandran who appeared for the AMU which defended the appointment, and senior advocate Salman Khurshid who represented Shah. Activist lawyer Prashant Bhushan who appeared for petitioner Syed Abrar Ahmed said UGC regulation, VC should have at least 10 years experience as a professor in a university or on an equivalent post in a research or academic institution. Bhushan said AMU regulation was binding on the varsity as it had adopted these on December 6, 2010. Referring to Kalyani Mathivana judgement, he said Shah was a retired army general and had no academic qualification as mandated by UGC Regulations, 2010. The UGC Regulations make it explicitly clear that the Vice Chancellor should be a distinguished academician with a minimum of 10 years of experience as professor in a university system or 10 years of experience in an equivalent position in a reputed research and/or academic administrative organisation, Bhushan said. The observation came Senior advocate Raju Ramachandran, appearing for AMU, opposed the submission and said UGC Regulations were only meant for teachers in central universities and not for appointment to the post of VC which is the post of an officer. Khurshid referred to section 26 of UGC and said AMU is a minority institution. He said the alleged non-compliance of Regulations could lead to stoppage of funds granted by the UGC but the terms of appointment of the VC cannot be dictated to the university. The apex court posted the matter for hearing on September 26. Earlier, the bench had issued notices to the Ministry of Human Resource Development and AMU while seeking their response on Ahmed's plea contending that the appointment of the AMU VC was contrary to the UGC Regulations, 2010. 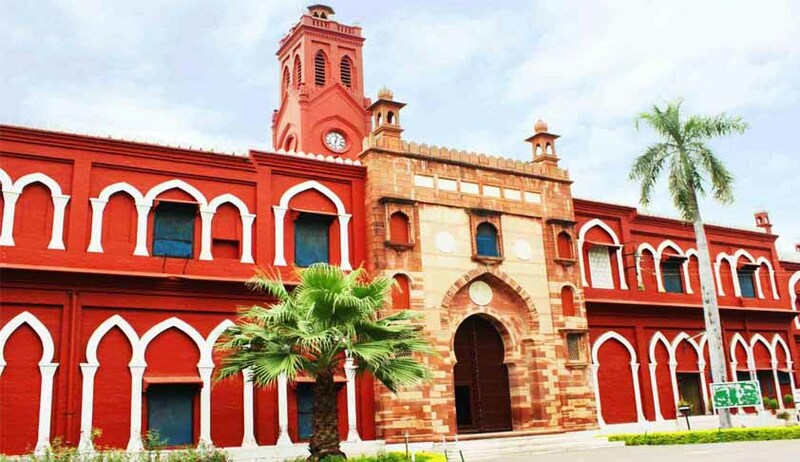 The UGC Regulations, 2010 was accepted and adopted by the AMU and the same was put in abeyance by the University, deliberately by an administrative order. Pass an order restraining the present VC not to make any appointment and promotion, take any policy decision which may have long term financial or other implications on the executive and academic functioning of the University, the petition said.